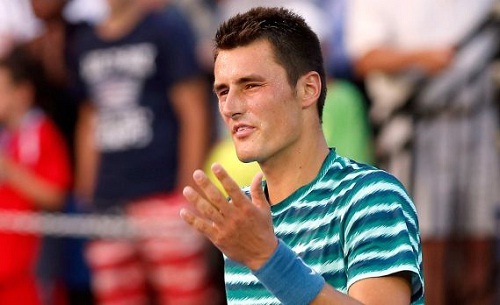 Australian Tennis Star Bernard Tomic Arrested! Bernard Tomic is a no stranger to controversies. The Australian tennis player has found himself in the headlines again after he was reportedly arrested on Wednesday. According to TMZ, the 22-year-old was partying at W hotel featuring loud music in the backdrop. Pestered by this, the neighboring people were quick to turn up and approach Tomic to have a control over the din. But, the latter shut the door after pointing fingers at the security officials. Subsequently, the hotel management called up the cops who asked Tomic and his entourage to check-out of the hotel. Everybody left, but Tomic was adamant, the report added further. The cops, consequently, handcuffed and arrested him. Meanwhile, Tomic’s on-court life is no better. Fresh from his third-round exit at the recently-concluded Wimbledon Championships, he crashed out of this week’s Hall of Fame Tennis in Newport, losing out to compatriot John-Patrick Smith in the tournament opener.